Our handmade greeting cards commemorate this tradition, as we use a wide variety of materials and construction methods to create our products by hand, each one designed to your specifications. Paper, paint, fabric, fiber, acrylics, watercolors, botanicals...and, much like those who've gone before us, whatever else we happen to have handy that would otherwise go to waste. 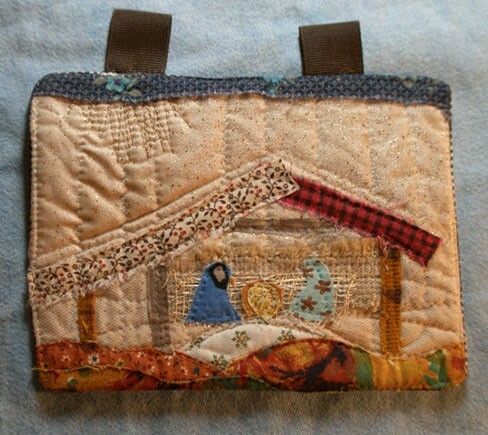 Mini Quilt Manger Scene Cards featured on this page are $25.00 each, or $22.50 each if you purchase 5 or more. Additional images can be found HERE.